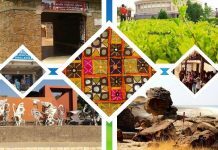 Gujarat has a colorful history of prices ruling various provinces, fighting among themselves and also resisting foreign invasions. The rulers are long since gone but their palaces and forts remain as mute testimony to those times. 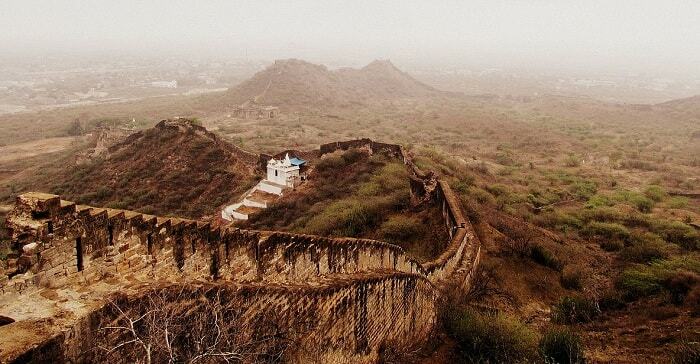 Visit Gujarat and these forts to take in a bit of history. 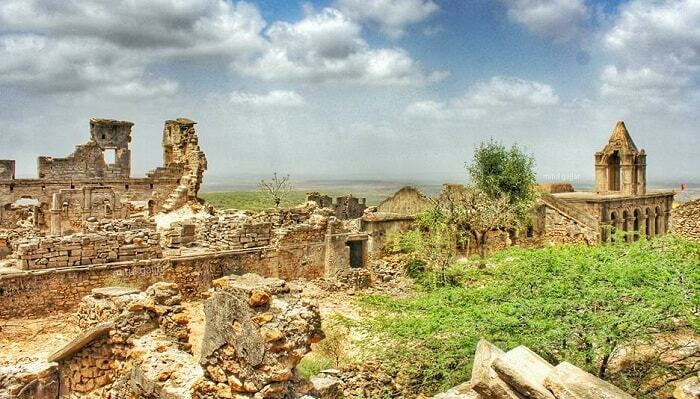 The venerable Bhujia Fort is located outside present-day Bhuj city, sitting on top of the Bhujia Hill. Bhujia takes its name after Bhujang or snake. It was believed the people worshipped the Snake God who provided protection. Rao Godji I started construction of the fort in 1715 and it was completed sometime between 1718 and 1741. The Diwan of Kutch, Divakaran Sheth extended the fortifications to strengthen defences of the capital and with good reason. The fort was under attack by invaders from Sindh and the Mughals. There is an interesting story about how the Naga Sadhus opened the gates of the fort to visit the Naga temple and then fought against the army of Sher Buland Khan. The Naga Bawas always received due respect since then. The earthquake of 2001 resulted in extensive damage to the fort but it is still worth a visit. 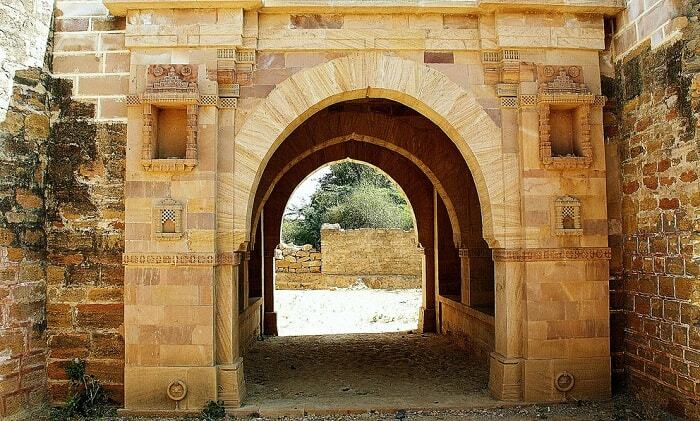 About 50 km from Bhuj in Nakhatrana Taluka you will come across the Roha Fort on the outskirts of Roha village. The fort is small with an area of only 16 acres. The Fort was the seat of power of Rao Khengarji I who ruled between 1510 and 1585. When Alauddin Khilji attached the region about one hundred and twenty Rajput princesses of the Soomra clan sought asylum here and then committed suicide rather than falling into the hands of the invaders. 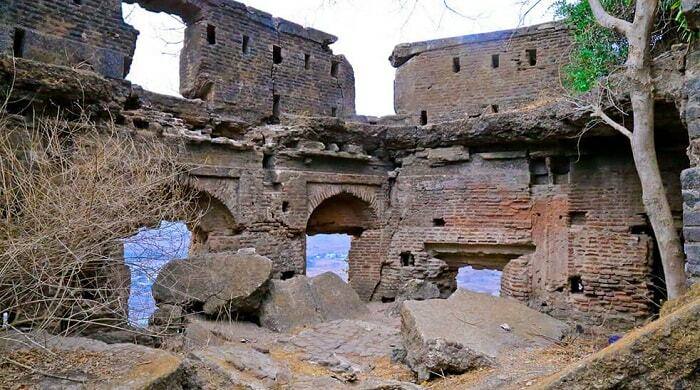 Even more ancient than the Roha Fort is the Kanthkot Fort dating back to AD 843 and was the capital of the Kathis who were subsequently defeated by the Chavdas. This fort also became the refuge of King Mularaja of the Chalukyas when he was pursued by Tailappa II of Kalyani sometime around 950 AD. 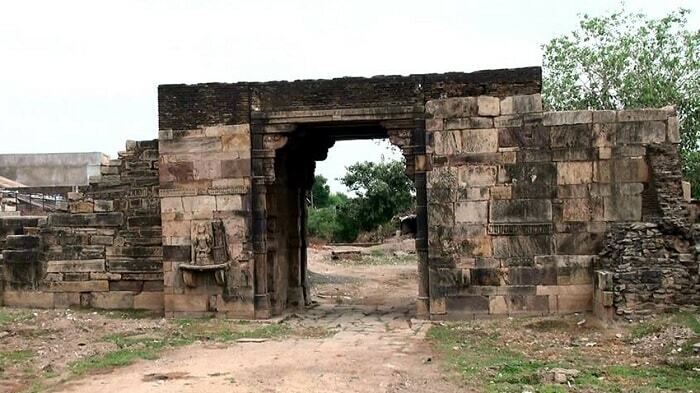 Bhima I also sought shelter here in or around 1024 AD when he was battling Mahmud Ghazni. The Vaghelas later on in the 13th century made it their capital. Muzaffar laid Seige to the fort in the 14th century and the Jadejas acquired the fort in the 15th century. The fort is built of large blocks of stone with smaller stones appearing where repair works were carried out. The hill on which the Kanthkot fort sits has a ravine with stepwells and remains of three temples dedicated to Kanthadnath after whom the fort was named, a Jain temple and a Sun temple. The Kathis worshipped the Sun God. 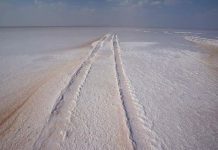 This is surely a must visit place in Kutch. Drive 85 km west of Bhuj and you will come across Tera Fort. It takes its name after the three lakes Chattasar, Sumerasar and Chatasar where it is located. The fort was built by the Jadejas during the reign of Deshalji I in the 18th century. Maharaja Lakhpatji attached the fort and damaged it with the help of cannons. The ruler surrendered to the Maharaja of Lakhpat. Also in the Rann of Kutch you will find the 11th-century Zinzuwada Fort over which the Solankis held sway. 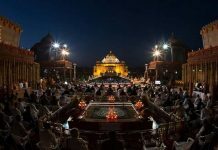 Large blocks of stone are used in its construction which is purely of the Hindu type. 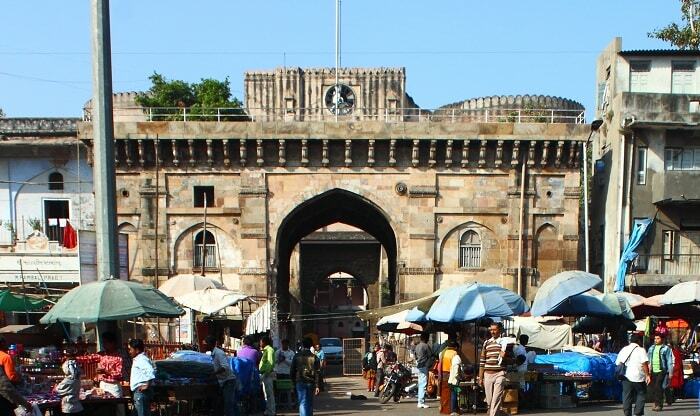 The fort has four huge gates known as Rakshastal, Madapol, Dhama and Harijan gates. Each gate is beautifully carved with the Madapol representing the finest with carved pillars showing Lord Ganesh and Bhairava. Junagadh, the princely state, is home to the Uparkot Fort. 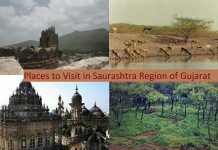 It is located at the foothills of the Girnar and was supposedly built during the Mauryan times. The Guptas ruled over it subsequently and thereafter by the Chudasamas sometime around the 10th century. 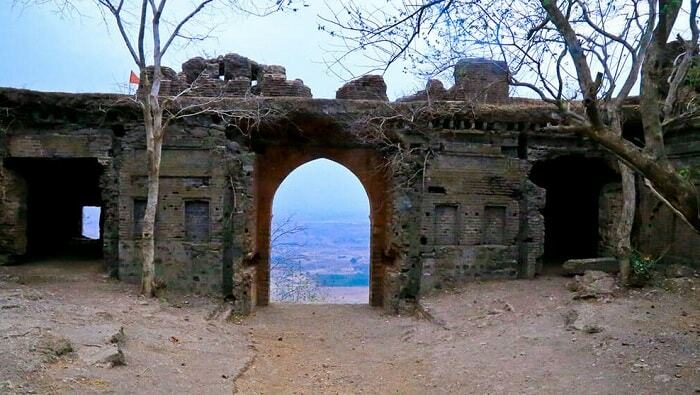 The Chudasamas ruled over nearby Vanasthali and, during those times, a woodcutter discovered a stone wall and a gate. 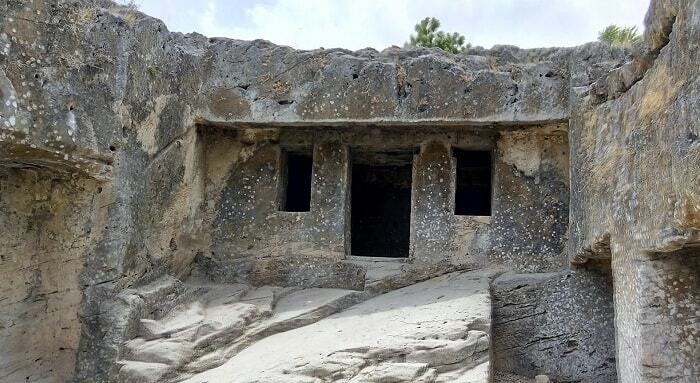 A sadhu who was meditating nearby said that it was Juna or old and the woodcutter reported his discovery to the Chudasama ruler who cleared the area and uncovered the fort. 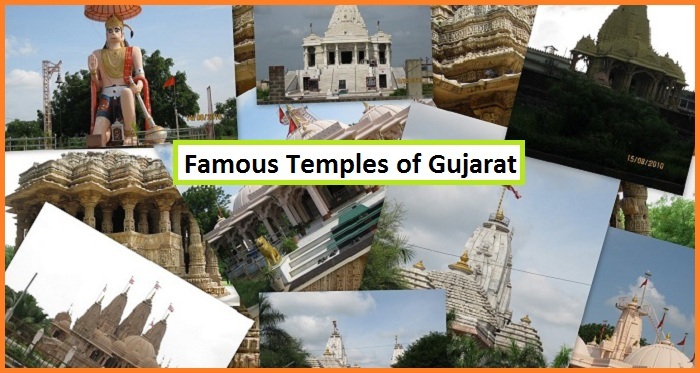 The Chudasama ruler restored the fort and shifted his capital to this place. The fort has walls that are about 70 feet high and there are three gateways leading inside. In addition there are old cannons to be found here as well as stone inscriptions dating back to 1450. 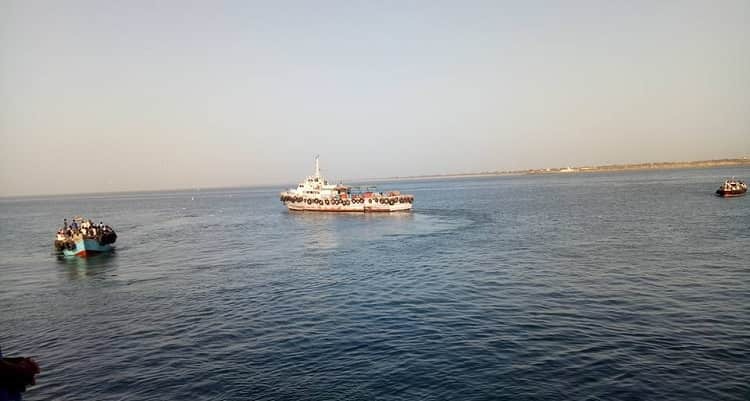 The cannon was supposedly brought here from Diu where it was abandoned by the Ottoman Turks. You will also find another cannon in the southern part of the fort. The two cannons are known as Neelam and Manek. There are two wells inside Uparkot known as Adi Kadi Vaav built during the times of the Chudasama rulers and the Navghan Kuvo. One can also find Buddhist caves in this region. Dhoraji Fort dates back to 1755. The Fort, located near Rajkot, has a palace within known as Darbargadh, a three storey structure. The fort itself has four large gates and three smaller ones. 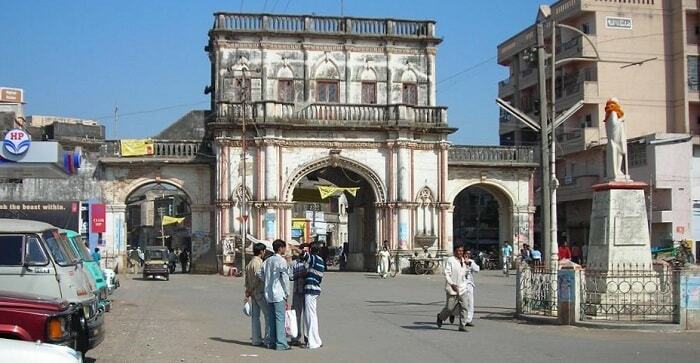 The larger gates are known as Kathiyawadi Darwaja, Porbandar Darwaja, Halar Darwaja and Junagadh Darwaja. The beautiful environment within gives a glimpse into the royal lifestyle of those days. 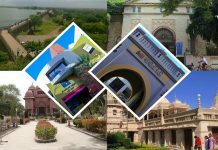 Travel to Idar, a hilly picturesque region, and you will come upon the Ilva Durga Fort sitting on top of a Hill on the Aravalli Range. This fort was the stronghold of the Rathore Rajputs and it has some fine architecture especially in the carved balconies. Manek Burj takes its name from Maneknath, a Hindu saint who lived in the 15th century, who helped Ahmadabad Shah 1 to build the Bhadra Fort. Ahmed Shah laid the foundations on 26th February 1411. He then went on to build the Bhadra Fort. 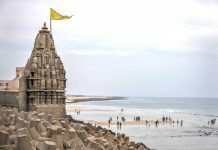 The fort takes its name from Bhadra Kali Goddess whose temple is in close vicinity. However, some say the palace takes its name from the palace located in Patan. 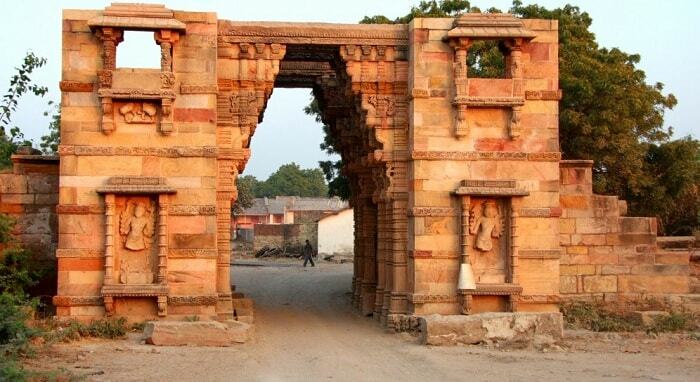 The gates of Ahmadabad and the fort were modeled along the lines of the gates of Patan, a city known for its Patola. The fort was also known as Arak Fort. The Gaekwads and Peshwas attacked the city and put an end to Mughal rule. Later on the British stormed the fort and captured the city. The fort was then used as a jail. At one time the Bhadra Fort was a large complex with palaces for the queen and an open area along with 14 towers, eight gates and openings spread over an area of 43 acres. The Sultan used the fort to conduct court sessions. Azam Khan, a Mughal governor, built the Azam Khan Sarai in 1637 but it is today used for government offices and for the city civil court. At that time it was a resting place for travellers. Travel a few yards and you will come upon the Bhadra Kali Temple, a part of the Sarai. Pavagadh is located in Panchmahals, about 46 km from Baroda. Pavagadh is a pilgrimage spot for Hindus who take the trouble of climbing hundreds of steps to reach the top of the hillock where the temple stands. However, at the bottom of the hill one can find the remains of the Champaner Fort, a UNESCO World Heritage site. Vanraj Chavda, a Rajput King, established Champaner in memory of his minister Champa. The Raval family thereafter ruled the fort. However, Jaisinh, the last ruler, cast eyes on Mahakali Goddess who was dancing during Navratri, and this displeased the Goddess who cursed the town with destruction. This came true when Mahmud Begada attacked Pavagadh and conquered it in the 15th century. 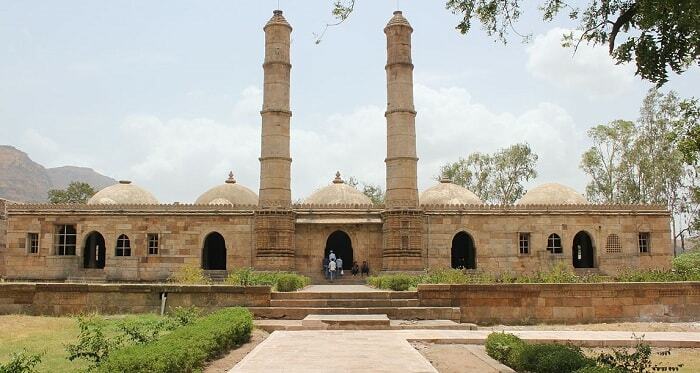 Mahmud Begada shifted his capital from Ahmadabad to Champaner and developed the area by building the Uohra Mosque, Jama Masjid, Nagina Masjid and Kevda Masjid. Ruins of his palace exist near Vad Talav, about 2 km from Champaner. It does take some time to walk from one beautiful Masjid to another. Then, when you climb the hill, (which takes about 3 hours), you will come across a lake halfway up with some relics of Jain carvings in the middle showing that the area was also under Jain influence. 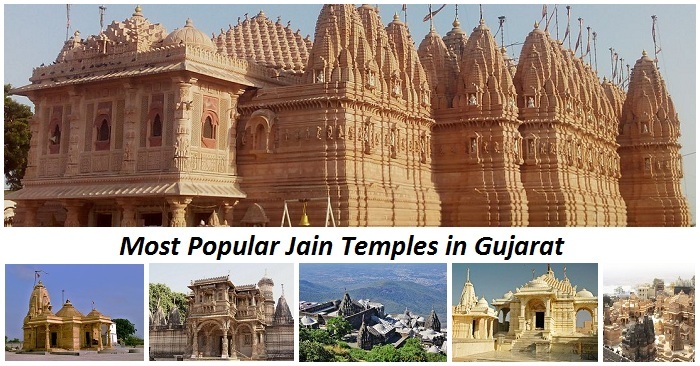 The Navlakha temples, temples dedicated to Chandraprabhu and Suparshvanath, located on the south-east of the Hill near the water tank are testimony to Jain influences. 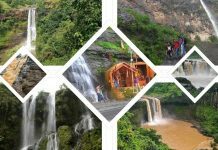 Travel to the South of Gujarat and you come to the textile and diamond center, Surat. Here you will also find the Fort built on the orders of Sultan Mahmood III. 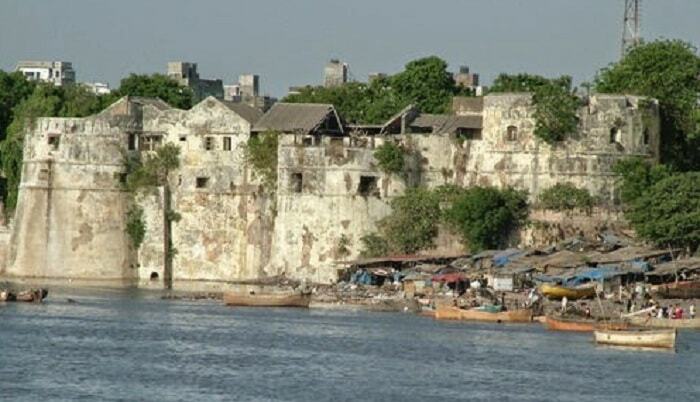 In those times Surat was a famous seaport and a center of trade and commerce and it was also vulnerable to attacks. The Portuguese burnt the city several times and the Sultan ordered Safi Agha, a Turkish soldier in his employ to build the Fort. However, some say that the old fort was built by Mohammed Tughlak to protect the city against attacks by tribal Bhils. This fort is located in Songadh in Tapi district, about 85 km from Surat. 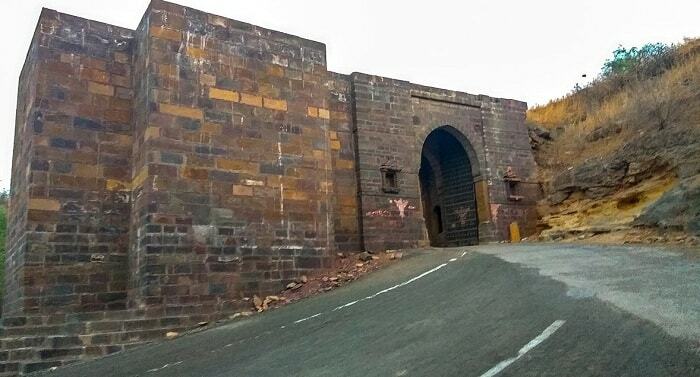 The Fort was built by Pilaji Rao Gaekwad between 1729 and 1766 on top of a hill. There is a lake and a dam that act as tourist attractions. Dabhi is about 30 km from Baroda. You will find the Dabhoi Fort close to Darbhavati town. Siddhraj Jaisinh is credited with its construction. The 6th century Fort has four huge gateways and it is a prime example of Hindu architecture, built according to Vaastu Shastra. 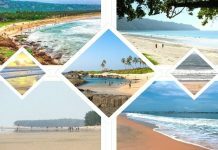 This Fort is definitely worth a visit because it is one of the greatest forts of India. Parmeshwar Dass, works with Gujarat Expert. An avid travel enthusiast by nature, he brings his characteristic zeal and sincerity to all projects he involves himself in. His videography and photography reflect his urge to help fellow travelers who embrace the pleasures and perils of journeys just for the sense of adventure and newness they bring to our otherwise monotonous lives. 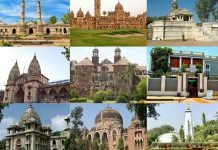 Gujarat is truly the land of rich culture and your blog is a perfect depiction of it.